We built the first J. Norris Construction website many years ago, and have since been invited to re-design and rebuild it. As a skilled homebuilder and multi-faceted general contractor with a specialization in green, sustainable building design – in particular Passivhaus design and construction – they needed a website to demonstrate their wide range of services and past projects, while still retaining a local, small-business, family operation. 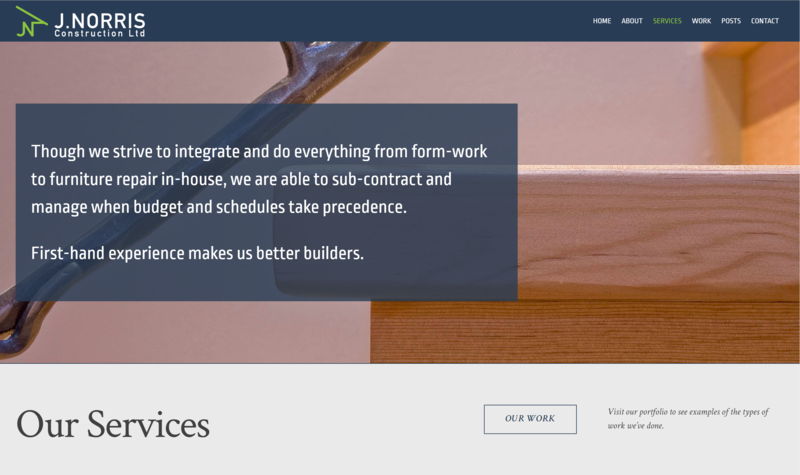 The website is contemporary, clean, easy to navigate, and accessible for a small business that needed an online presence that stays current without a steady stream of new content. 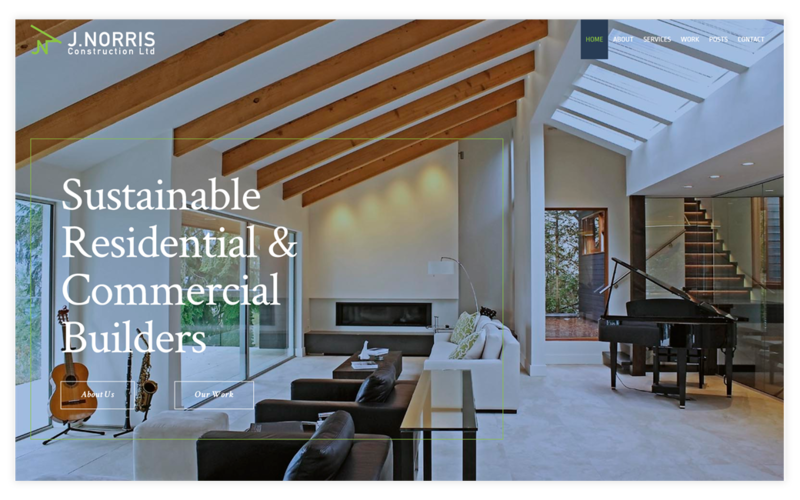 We also designed the company logo, created their entire branding campaign from business cards to vehicle and trailer decals, and continue to offer consulting on all things related to online marketing in the homebuilding and construction industry. 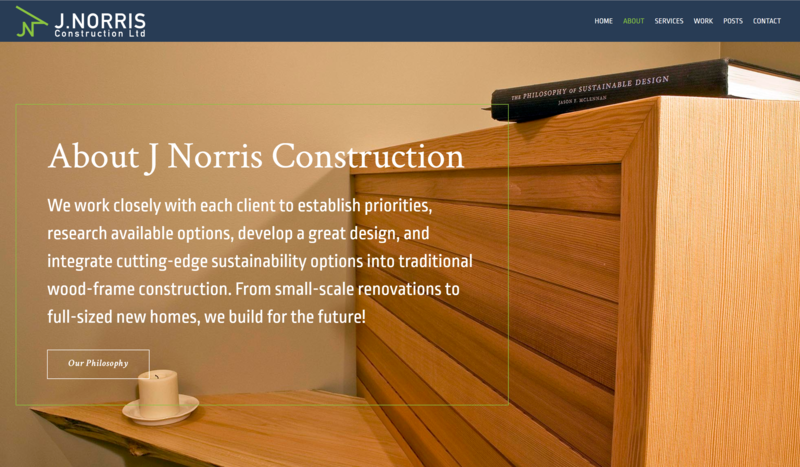 We’ve worked with J. Norris Construction for many years and look forward to a continued relationship for many more.